Delivery from £5.00 to United Kingdom in 7 - 14 working days. Pixel Tea cups can be used for drinking green tea from or used as a small store pot or pinch pot. 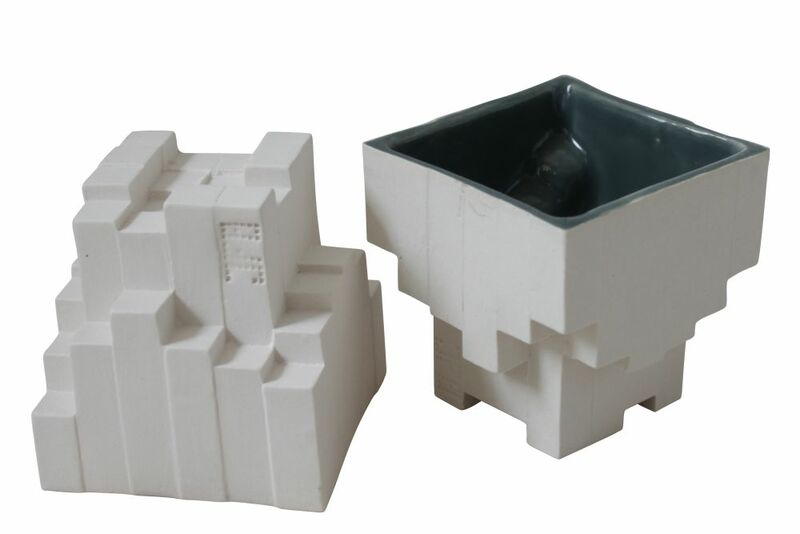 The cups are made using a specially design clay casting machine that gives the pieces there unique design. Julian F Bond creates unique homeware and ceramic products in east London, using a specially developed casting machine.